Standard features on the Windblocker 477 window include a 0.080" vinyl extrusion, an interlocking meeting rail, constant force balancing system, a composite reinforced meeting rail, a positive sloped sill, night vent latch, triple strength weatherstripping, and tilt sashes on the double and single hung models. Consumers should expect the Windblocker 477 window prices to run something like $45 to $55 per square foot for the window itself. Similarly priced windows include Okna 400 window costs and Milgard Tuscany windows prices. 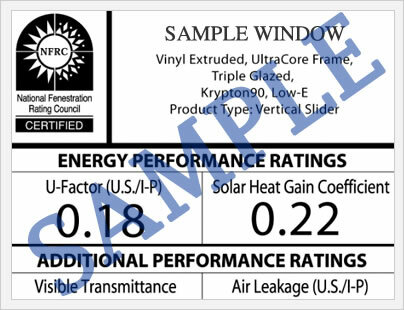 The Slocomb Windstopper window with the low-e glass and argon fills should deliver a U-factor of .26, an R-Value of 4, and SHGC of 0.19, an Air Infiltration of .08, and a DP55 rating. All in all, pretty darn solid numbers. The .08 AI isn't fantastic, but it's not bad either. I couldn't find them listed on the nfrc.org websites, which always kind of bugs me. If a company wants to claim numbers on their website, they should be listed on this site, along with the thousand of so other window manufacturers. The Newton Window or Slocomb websites doesn't mention much in terms of their warranty. 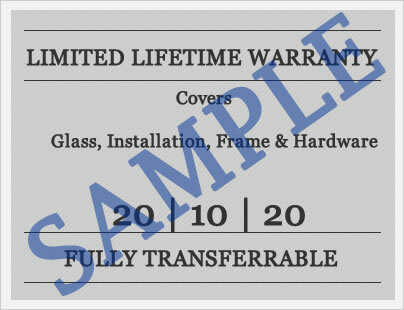 When we get additional information on their warranty terms, we will be sure to post it here. If you do have information on the Slocomb windows warranty, please email us using the form below and let us know! Do have a Slocomb Windblocker 477 or Windstopper review to share with other homeowners? Post your reviews and let others benefit from your experience. Do you have questions about the Slocomb Windblocker 477 or Windstopper window? Ask our site pros your questions and get the answers you've been looking for.